The Women's Calm Mala Bracelet is now here! 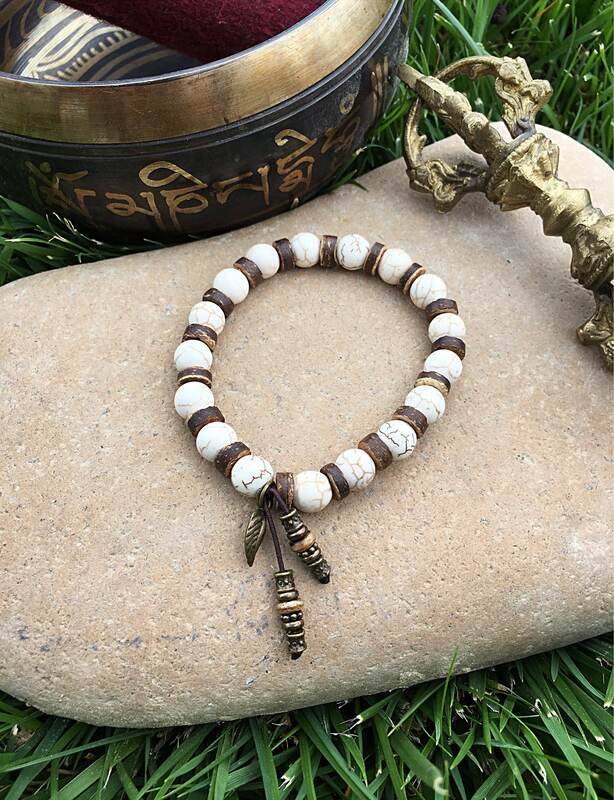 A more feminine, smaller version of the popular Men's Calm Bracelet features sandy white Howlite gemstones with earthy raw coconut shell beads and a miniature antique brass leaf charm to connect you with Mother Earth and to profoundly quiet your mind. The rejuvenating healing power of coconut shell is widely known around the world. 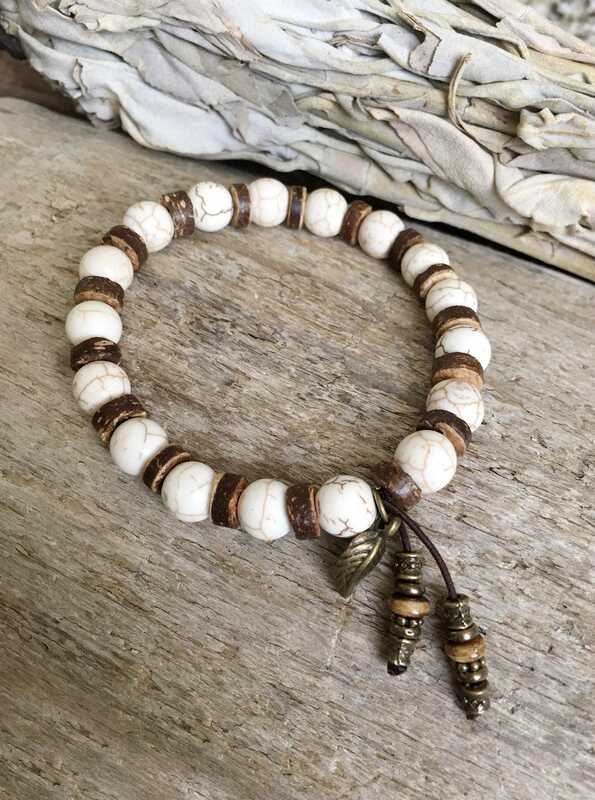 These natural Heishi coconut shell beads are comforting and grounding, bringing a sense of peacefulness, while connecting you to the earth and all that IS. 8mm high quality crystals, strung on strong elastic stretch cord. One size fits most wrists. Custom sizing is available.